SAN FRANCISCO (CN) – A Monsanto scientist denied on Tuesday that the company based its assertions that its Roundup weed killer doesn’t cause cancer on non-existent studies, on the tenth day of a landmark California jury trial over whether the herbicide triggered a school groundskeeper’s incurable lymphoma. In video testimony played in San Francisco County Superior Court, Monsanto’s long-time toxicologist Donna Farmer explained that the U.S. Environmental Protection Agency only requires tests of Roundup’s active ingredient glyphosate and of the surfactants added to the product to help it spread across plant surfaces. She said Monsanto performed those tests and found no link between either glyphosate or the surfactants and cancer in humans, allowing it to conclude that Roundup is also not carcinogenic. “Roundup does not cause cancer,” Farmer said. “There is no data to support” that it does. Johnson’s lawyers argue Roundup is more carcinogenic than pure glyphosate because surfactants boost the chemicals’ cancer-causing properties. Establishing that Monsanto refused to test Roundup would support Johnson’s contention that the company has known for decades that the product is carcinogenic, but didn’t warn consumers for fear of disrupting its multi-billion dollar business. Johnson, 46, sued Monsanto in 2016 after being diagnosed with a cutaneous form of non-Hodgkin lymphoma that caused cancerous lesions to form over 80 percent of his body. He says he developed symptoms after he was twice drenched in Roundup while spraying schoolyards for his job with the school district in Benicia, a suburb of San Francisco. He seeks in part to force Monsanto to put a cancer warning label on Roundup, having testified a day earlier that he would never have used it – particularly around children – had he known of its health risks. Moreover, he said, he wouldn’t have continued using it after his diagnosis if told that the World Health Organization’s (WHO) cancer agency had classified glyphosate as a carcinogen specifically associated with non-Hodgkin lymphoma in the scientific literature. 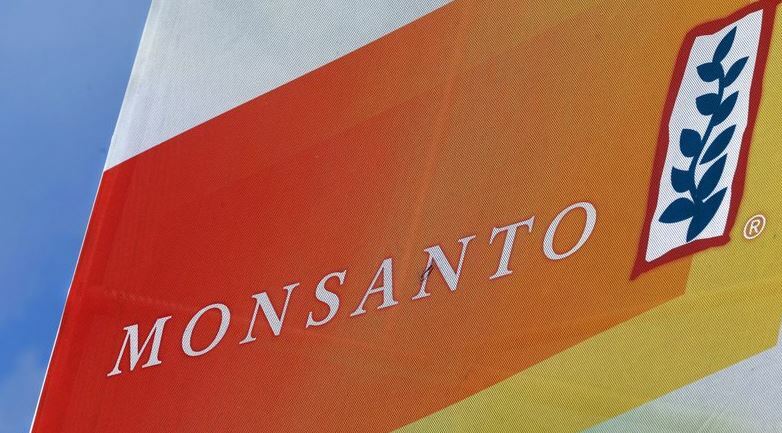 But Monsanto didn’t tell him about the designation when Johnson called the company a few weeks after the agency’s announcement in search of information about his illness, he said, an allegation confirmed earlier in the trial by company executive Daniel Goldstein. Although U.S. and European regulators have concluded glyphosate is safe, the WHO’s International Agency for Research on Cancer (IARC) classified it in 2015 as a probable human carcinogen, prompting a slew of lawsuits against Monsanto in the U.S., including Johnson’s. The first such case against Monsanto to go to trial, it is considered an indicator of how more than 400 similar lawsuits pending against Monsanto in federal court in San Francisco, as well as lawsuits in state court in nearby Oakland, will go. The San Francisco cases, consolidated before U.S. District Judge Vince Chhabria, are headed for trial following a recent ruling for the plaintiffs calling evidence linking glyphosate with non-Hodgkin lymphoma “weak” but admissible. Much of that evidence is being used in Johnson’s case. Farmer also denied allegations Tuesday that she ghost wrote parts of a 2000 scientific article concluding glyphosate isn’t carcinogenic when presented with a company email in which she said she had added sections to it. Farmer acknowledged in her deposition that she added sections to a rough draft of the article. But she said they were meant as suggestions for the paper’s listed authors to keep or discard as they wished. Earlier in the day, Goldstein criticized 15 animal cancer studies finding a link between Roundup and tumor formation. He said the results hadn’t been replicated in subsequent studies, making them unreliable. “We have a very extensive dataset in animals, and it simply does not support carcinogenicity,” he testified by video deposition. IARC considered those studies in its assessment of glyphosate, which Goldstein also slammed as a “poor-quality assessment” that “cherry-picked” data IARC “wanted to focus on,” presumably to arrive at a predetermined conclusion that glyphosate is carcinogenic. Monsanto has pointed out throughout the trial that no regulatory agency has classified glyphosate as a carcinogen, in a bid to paint IARC as an outlier. But Michael Miller, one of Johnson’s attorneys at the Miller Firm, said in his cross-examination of Farmer that IARC explained its differing classification by noting that it had reviewed only publicly available studies, while regulators like the EPA reviewed private industry studies, including ones done by Monsanto. He also said the EPA failed to independently evaluate the industry studies, a suggestion challenged by Farmer. “I would disagree with you that regulatory studies we submit aren’t undergoing critical review,” she said. “How many Monsanto employees left EPA?” Miller shot back, mentioning one former EPA employee by name. He also alluded to Jess Rowland, a former EPA employee Johnson’s attorneys say “colluded” with Monsanto to derail a review by a sister agency the company feared would also classify glyphosate as a carcinogen. Farmer denied knowledge of Rowland or the number of EPA employees who have moved to Monsanto. Testimony continues Thursday and the trial is expected to last through August 10.